Bulldog afghan is sure to be a favorite of all the fans of this popular breed! Bulldogs are in the top 10 of most popular dogs and it’s easy to see why. They don’t need a lot of exercise so they’re a favorite for people living in smaller spaces. 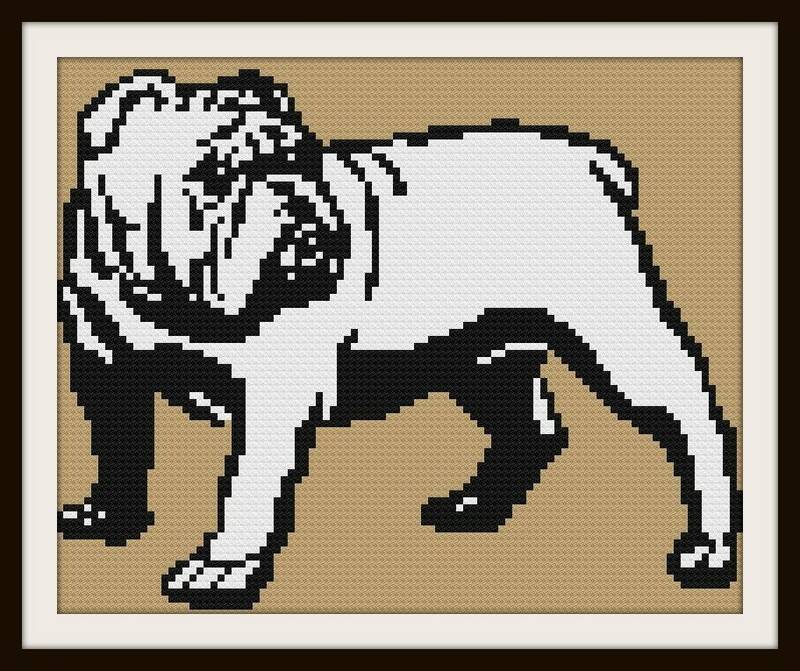 This Bulldog afghan pattern is done in simple colors but bulldogs come in 10 different colors and four different markings. Use the colors of the graph or get creative and use your own color palette. **Would you like this pattern printed out and mailed to you? Please click here to add the printing and shipping to this pattern https://www.c2cgraphs.com/listing/579715931/pattern-printed-mailed If you would like to purchase multiple patterns to be printed and shipped, please contact me for combined shipping costs.